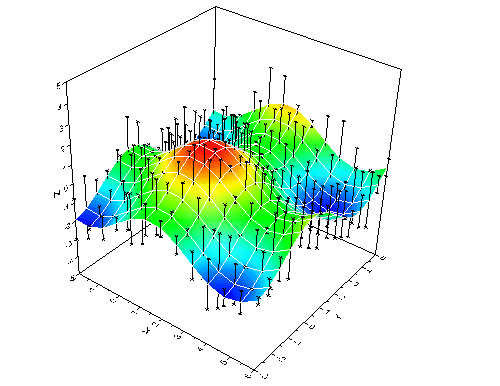 This is a 3D surface plot with error bars contained in another matrix. This tab is only available for the 3D scatter, 3D surface, and 3D bar plots. You can check the first check box "Enable" to active all the settings in this tab. Available data for error bars can be selected from the Error Data drop-down list.